“Jacket” comes from the German “Sakko” but the term fashion “blazer” has its origins in 1825 in Cambridge. Two rows of button jackets were born with the Navy uniforms. At first the black buttons of bone, these blazers jackets evolved into the modern dark shape with a row or two of metal buttons. Striped blazers, so called, “boating Blazers” became popular throughout Great Britain in 1960, with a revival of the trend in 1970. Blazer is a very important element in women’s clothes today. It became a masterpiece of any wardrobe, being adopted by women with different clothing styles, not only those job compel them. And following catwalk trends imposed by the designers, blazer becomes a very versatile piece of clothing that can be worn with anything from jeans to dresses for day and even evening gowns. So either go to the job, walking, shopping or meeting with fiancé, the blazer is always in your attention. If you ask me, blazers are a clear example of the versatile piece of outfit. It helps you tremendously to give an air of casual smart to any outfit. Are certainly many types of blazers thousand, because, then, as mentioned above, is an extremely versatile element of our wardrobe. However, personally identify three main types of blazers in this spring of 2014: tuxedo, boyfriend type blazer and classic blazer. A tuxedo is a little shorter than the pelvis, but it goes up to the waist! Tuxedo is sharp lapels and back longer than the front. Extremely elegant and versatile and can be worn in very casual outfits but the addendum over an elegant evening outfit. This type of jacket is the top of a “deux-pieces”either composed of trousers or skirt bottom. 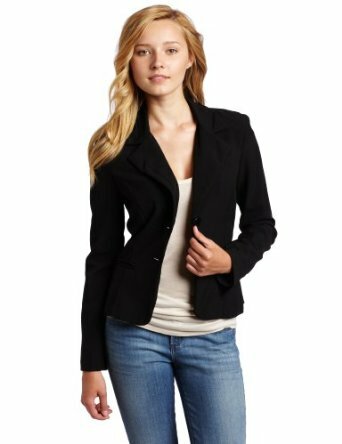 Classic blazer, dark 2 or 3 buttons, help create an hourglass silhouette type that emphasizes the waist, emphasizing her better. Women’s Checkered Blazer is inspired by men’s fashion and implemented with great success for this kind of blazers are very chic. Used mainly in office outfits wear it with a pair of pants assorted business attire. Boyfriend blazer is the latest wrinkle of fashion in this spring. Signature style Stella McCartney collections already, oversized jacket is inspired by the male wardrobe, but do not understand it must be a great jacket size. No, or in a case. 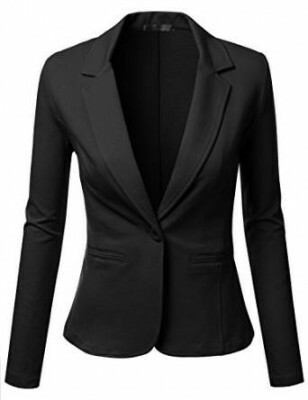 This blazer is broad, classic, but the shoulders fit perfectly the feminine silhouette. So do not try to buy a jacket two sizes too large prancing to cut it for themselves and not by size. – Over cardigans with long skirts that will touch your knees.